Grab these stainless steel side tables for the perfect team up with the Primo Large grill. 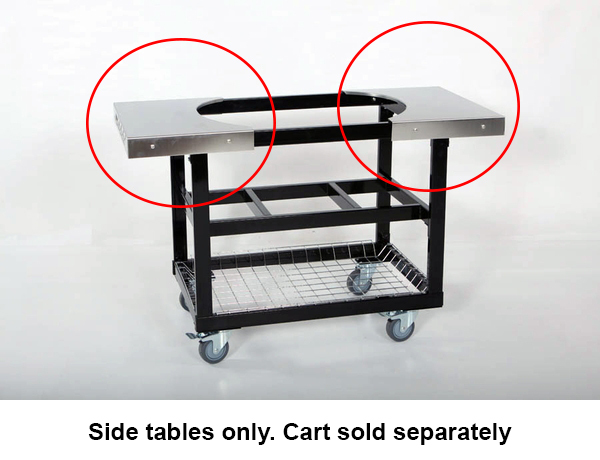 They fit right onto your Primo Cart and nestle in with the Primo Oval 300, to save you space on your family's picnic table. Finally, the team is complete to unleash your true grilling potential! WARNING: Burning charcoal in this product can expose you to checmicals including carbon monoxide which is know by the State of California to cause birth defects or reproductive harm. For more information go to www.P65Warnings.ca.gov.